We’ve teamed up with OpenTable to let you make reservations on line from your PC, tablet or smartphone! 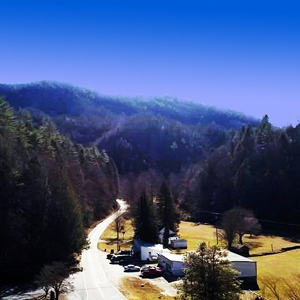 Give it a try and stop by for some of the best pizza on the Blue Ridge! And while you’re there, browse our old country store for local products, hand crafted souvenirs or just a bag of treats to take on the road! We’re continuing the traditions of Todd’s Country store, founded in 1879. So come on by for a taste of the old time comradery, friendship and great mountain hospitality. Rated Number One on Trip Advisor! Trip Advisor has rated us number one for dining destinations near Lenoir North Carolina! Check out what our customers have to say about us! And while you're at it, check us out on Yelp and our Facebook page, and leave us a comment or review! We have created a savory Mountain Menu from garlic knots to freshly made novelty pizzas. You can have plain cheese pizza or even build your own! We also offer a variety of sandwiches, hamburgers and hot dog platters along with wings, fries, onion rings, veggie burgers and freshly made salads. Don’t leave without trying a fresh calzone and top it off with a Mountain Milk Shake or a scoop or two of ice cream. Then chase it down with a fresh cup of hot coffee, a cappuccino, latte or a Café Mocha made with hot fudge. Are you hungry yet? Come on by and give us a taste! We’ve got photographs collected since 1960. If you know of anyone who has earlier photos, give us a call or bring them by. We’d love to add them to our album! There are some great shots of our early customers, the old store and much more! Thumb through our album and enjoy! 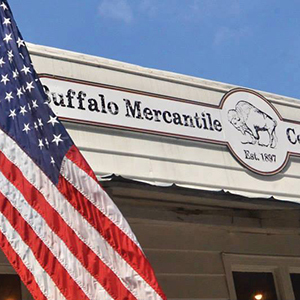 © 2015 Buffalo Mercantile Company & Cafe. All Rights Reserverd.